Future of smartphone now dependent on other accessories that help to increase your Entertainment, Experience from visualizations and Effects. In the Shortest time, VR (Virtual Reality) Headsets or Goggles became more popular in the technology industry. And Most of the media channels (Movies, TV Shows, History Channels and Game promo), Social Site (Facebook, ) or Live Video streaming sites (YouTube) supporting and developing for use on VR. Be ready by purchasing one of below list of best VR Headset iPhone 7 & iPhone 7 Plus, before other social sites Enable option for VR Users in 2017. With time, New upgraded VR Headsets available in Market, So the list of top best VR headset always updated. 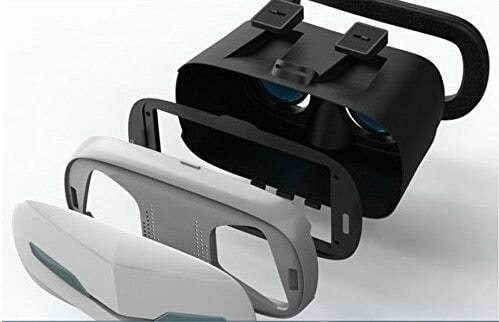 We are trying to cover all new and Very functional easy to use VR headsets for compatible smartphones. 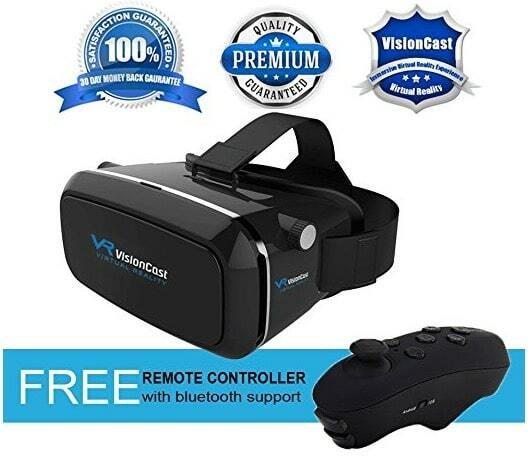 This is visionCast VR headset for the smartphone And made for Plays 3D games, Watch 3D movies or other 3D Virtual reality apps. VR Helmet pays good roll in the whole experience. Auto adjustable focus technology cares your Eye from Near to Device. This VR designed for all size model, Very in screen size don’t make unused, it’s compatible with iPhone 5S/ 5 (4 inches), iPhone 7 Plus (5.5 inches), iPhone 7 (4.7 inches) and other Samsung models. Auto fixes overheating problems from magnetic ventilation panel. Leather padding, Adjustable elastic belt in headset keep it secure in use. 30 Days money refund policy covered in amazon. 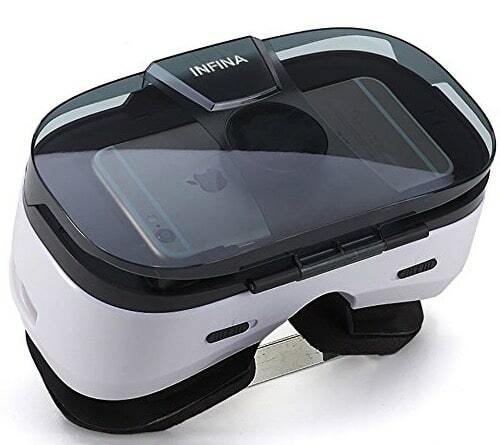 This is infina Virtual Reality headset for watch 3D movies, Play 3D games and analyze any other thing in 3D effect in office, School, College, and Library. Upgraded VR headset from cardboard, People are saying after use: more Clear picture. Feel free to use for any age people: Kids or Adults. 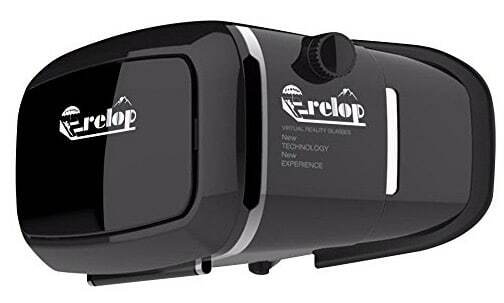 Just under $30, you get money value VR Glasses. Have you 3D game it’s controllable via Bluetooth remote. 12 Month Warranty and 30 Days money back guarantee. This is very smart iPhone 7 or iPhone 7 Plus VR Headset. Immersive Virtual Reality headsets for 360 angle. in the box free screen protector, Anti-blue ray glasses, 3D machines, Compatible with 300+ iPhone VR apps, outside physical button for adjusting distance between focal lenses and Eye. Soft adjustable spandex straps comfortable with any head, Think plush cushioning around the eye for comfort and extended use. The best VR headset under 20. 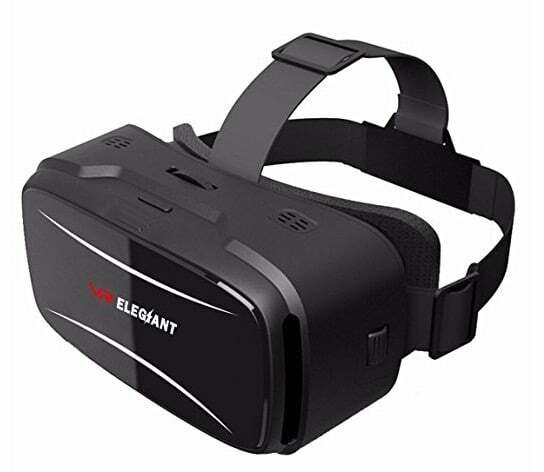 Another Alternate VR headset under 20 is ELEGIANT VR for iPhone 7 & 7 Plus. 3D Headset Google Box Glasses for all relative size smartphone screens. amazing Design that distributes whole VR headset equally to user’s head. So it’s can use for longer time continuously. Test and daily use for watch 360 videos. Private multiplex feels at your home or office. Lightweight & Durable material explore the use day to day. Under 50 get money value return, Adjustable eye care technology. Also Good management on Output headphone Audio port and Cable. Some 3D or VR apps we can use for watch & record scenes live using Camera slot. Find VR ready game on App store & Test with this VR Goggles. Supporting to Popular VR apps Google Cardboards apps and VR adventures apps. You are beginners or never purchase VR earlier, You can go with this expert reviewed VR. Shop VR headset with the Remote controller, Bluetooth technology help to instant change running picture, Media, Apps and more remotely. 360 Video experience, Gaming support. Manual FD and OD adjustment for more clear vision. Not for the selected model, But other smartphones that have a screen between 4 to 6 inch. iPhone Gaming controller is the best combination with VR Headset to play any 3D Game on a remote. 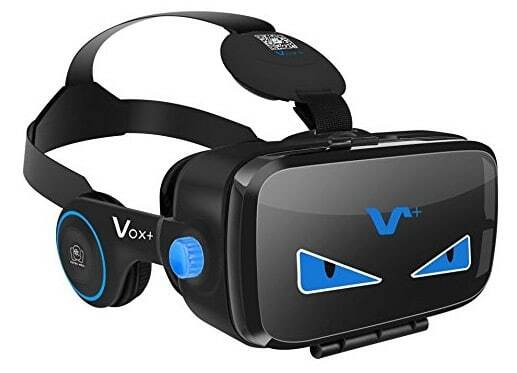 VR headset with Headphone, Plug your audio jack to Vox+ Speaker Headphone. 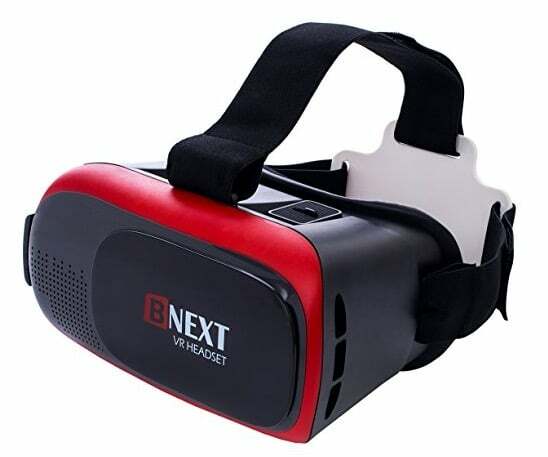 3-D VR Headset Under 50, Enjoy 3D movie or Game with 3D Sound with More beautiful sound and Extra Bass. No side effect on health and Body parts, One the Sensitive organs in Whole body “Eyes”. Sound proofing technology filter unwanted and disrupting noise (Outside VR world) automatically. 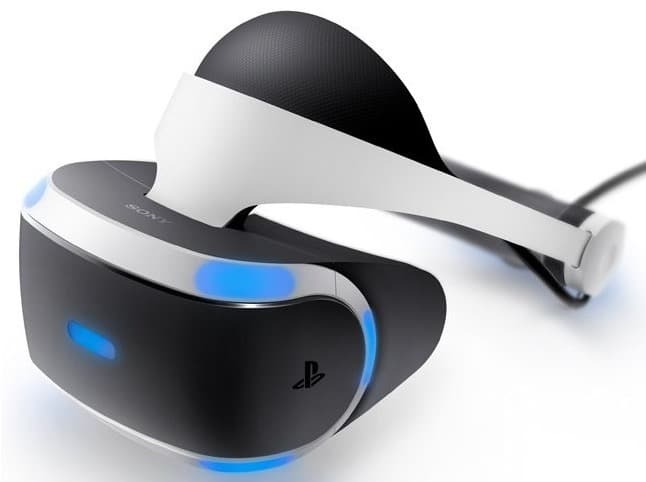 most trending headset for the ps4 virtual reality games & gamers. Are you looking for it? Here’s the Direct link for order on Amazon (HDMI Cable, USB Cable, Officially released by Sony). 3D audio and Video technology speechless on experience. Above all are the best VR goggles for iPhone 7, iPhone 7 Plus compatible. That’s all are very useful on 3D Game, Video and Apps view.